I am interested in health, fitness and healthy eating. I live in the Netherlands. Psychology is the study of people's behavior, performance, and mental operations. 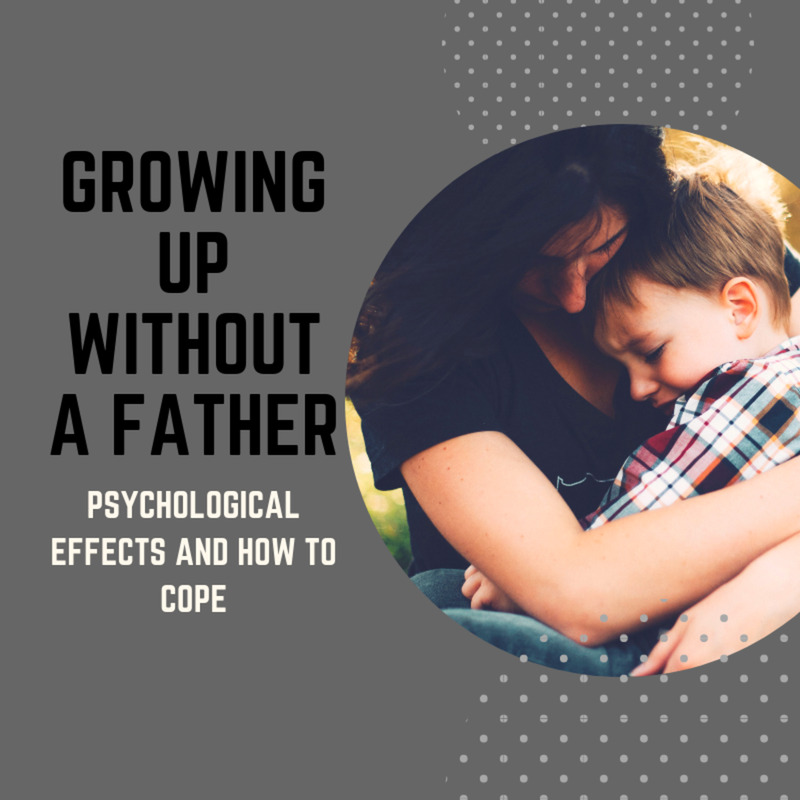 It also refers to the application of the knowledge, which can be used to understand events, treat mental health issues, and improve education, employment, and relationships. The subject lies at the intersection of applied, educational, and theoretical science. The subject involves other areas of study, including humanities, natural sciences, and the social sciences. What does Psychology mean? Where does it come from? Hank gives you a 10 minute intro to one of the more tricky sciences and talks about some of the big names in the development of the field. Welcome to Crash Course Psychology!!! 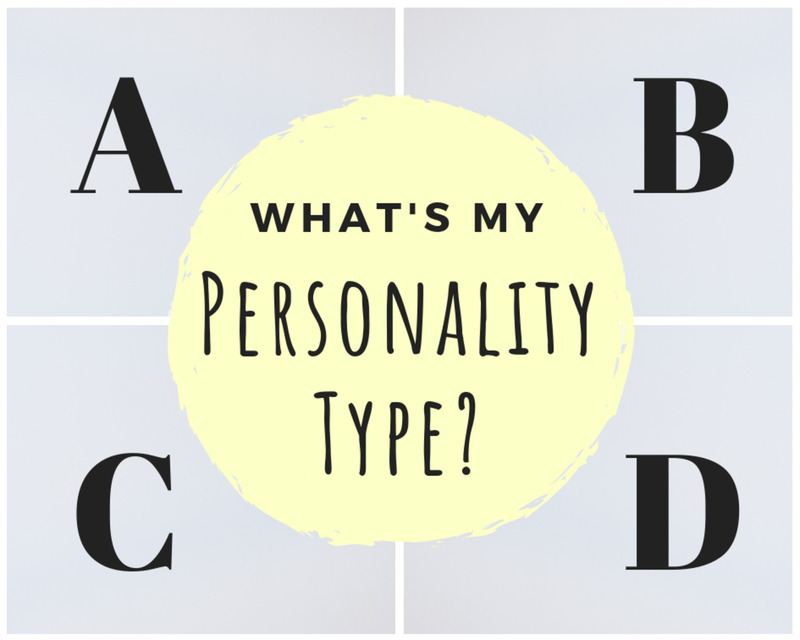 In its primary form, psychology studies people—who and what they are. It looks into why they act and think the way they do and how someone can improve himself or herself. Therefore, everything a person does is connected to the subject. The science not only allows people to be more successful, but it can also impact their health. 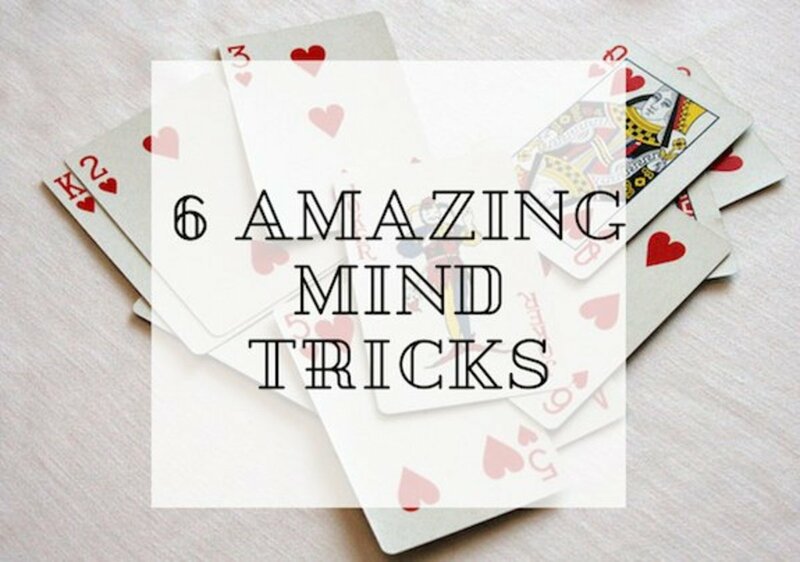 It helps many tackle their mental illnesses so that they can continue living their lives. Psychological studies have also aided in drug development and the ability to diagnose various diseases (such as Alzheimer's and Parkinson's). I can personally testify to the importance of the subject. Psychology has helped me as a writer because I have become more determined to do the things I will enjoy and write on the topics that I like. I can understand who I am and look at events on a more positive aspect. Whenever I have a problem, I can handle it better. Down to the choices over the projects I will work on and the way I will handle my time, psychology helps me make better decisions within my life. 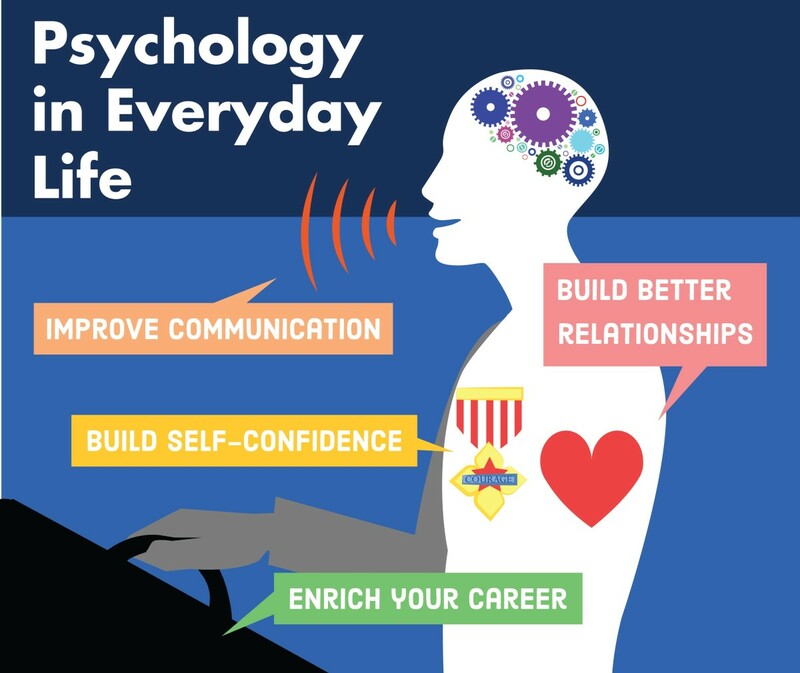 How psychology is used in everyday life. The building of relationships: Psychology makes it easier to live with others by understanding them more and working with their behavior. Below, University of Texas professor James Pennebaker explains one way psychology can be used to predict romantic compatibility. Improving communication: A greater understanding of how humans think and behave will help people communicate better. They will be more effective in understanding what a person really means by gestures and actions. Building self-confidence: By understanding more about yourself and your personality, you can gain more self-confidence. You will learn more about your weaknesses and can build on them. Enriching careers: You will be able to understand your coworkers more and stand a better chance of building friendships. It helps to deal with their actions to enrich your career. The pendulum of the mind oscillates between sense and nonsense, not between right and wrong. Why Is Psychology Important to You? Are you a psychology student? There are as many justifications to study psychology as there are students studying psychology. It's a personal choice. But there are five reasons I want to share with you that are often mentioned as an important reason to study psychology. People are fascinating creatures! We all enjoy learning about the crazy things people do. This is what makes psychology, especially social psychology, fascinating. For instance, you will learn about the bystander effect, which explains why you are more likely to be helped when one person sees or hears you in your hour of need than when a large group is watching. Many early scientific studies wouldn't pass the ethical test nowadays. Still, it's interesting to read about them. One of the best known is the Stanford prisoners experiment, which studied the psychological effects of the power dynamic between prisoners and guards by having volunteers simulate a prison situation. Or that of Little Albert, a little boy who was taught to fear a little rat. Little Albert ended up being afraid of fluffy white animals for the rest of his life. The video below explains the research in six minutes. Fascinating and outrageous. Studying at university is cool because you learn academic skills. As a result, you end up with a more critical attitude, and you do not believe everything published or broadcast. And at one time or another, you'll get to do research about a topic of personal interest. One of the most important tools that a psychologist has to his disposal is research. Research provides insight into human behavior, provided the psychologist makes use of scientific methods. Many psychologists also deal with mental disorders and options for their treatment. 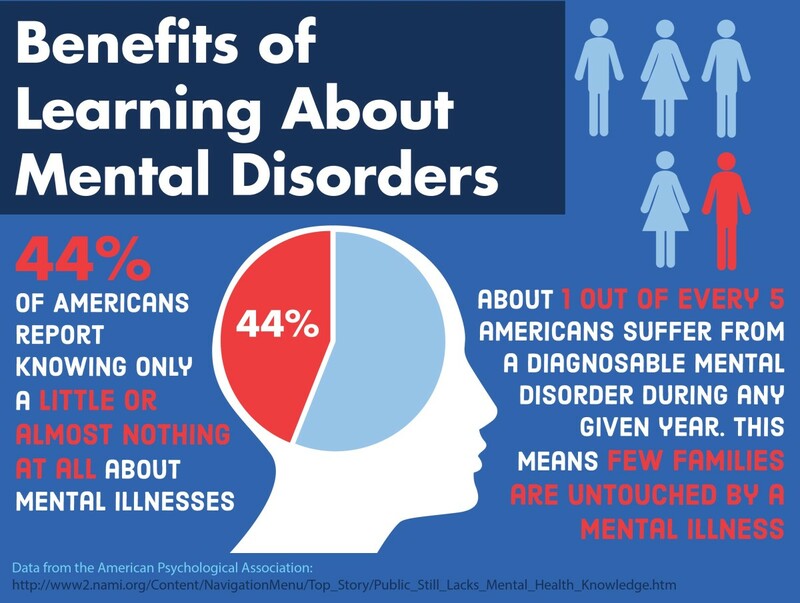 Mental disorders are many and can have a debilitating effect on people's lives. 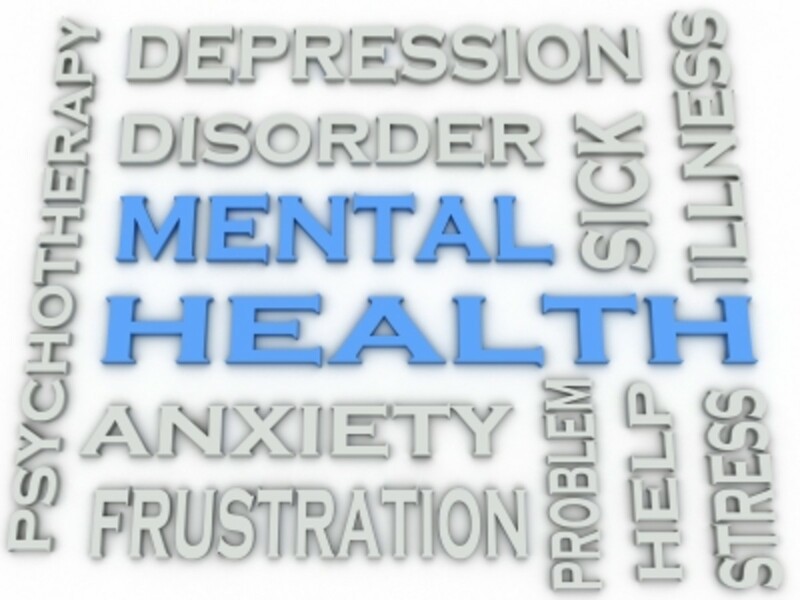 Fortunately, various psychological treatments have been developed for many mental issues. Best practices have been written down in treatment and diagnosis protocols. The prospect of being able to help others in their struggle to live a "normal" life appeals to many students. Doing, thinking, feeling, and acting—as a student of psychology, you will get to study all aspects of human behavior. You will learn not only about the general characteristics of human behavior, but also about the differences. How do people react to stress? Do athletes perform better after mental training? Why does one child perform better in school than the other? How is it that some of us are friendly and relaxed while others are often tense or stressed out? The reason I chose to study clinical psychology was a direct result of suffering from panic attacks. I was dealt a bad hand of psychologists. As a consequence, my condition only worsened. And when I hit rock bottom, I decided to take matters into my own hands. I set out to learn more about psychology—in particular, I wanted to learn about anxiety disorders and find the best treatment options. For me, this turned out to be a smart choice that I never regretted. I got my life back. Truth be told, I enjoyed all the other reasons listed above as well—except for the research, which involves a lot of statistics and math, subjects I try to avoid like the plague. Don't become a mere recorder of facts, but try to penetrate the mystery of their origin. Psychologists go on to work many different careers. Some are mostly research-based, while others work more closely with people. A few common settings psychologists work in include universities, hospitals and clinics, schools, government, and business, although there are many more careers than the ones listed here. 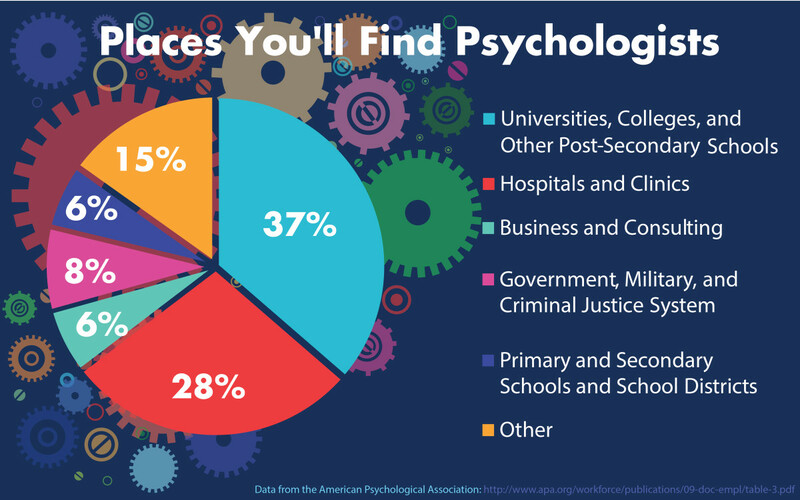 Places you'll find psychologists—the most common professions for a graduating PhD psychology student. Universities: Ever wonder what makes food taste appealing or how girls and boys are conditioned differently in different cultures? Psychology professors spend time researching their specialities when they are not in the classroom. According to the American Psychological Association, over a quarter of psychology PhD students go on to work at a university or four-year college. Hospitals and clinics: Psychologists can also work in the health services, where they can use their knowledge to help treat people for problems from anxiety to addiction. Clinical psychologists can specialize in treating children, adults, families, couples, or different types of issues, such as depression or trauma. Primary and secondary schools: Psychologists can work in primary and secondary schools and school districts. A school psychologist uses his or her knowledge of children’s cognitive, emotional, and behavioral development to help students be successful. These professionals will likely research and monitor how students are doing at the school, implement school-wide policies, and intervene with struggling students. Government: The government employs psychologists in a wide range of careers from counseling positions to industrial organizational positions, which help the government create tests and training courses. Psychologists for the military vet men and women who want to enlist, treat issues such as post-traumatic stress syndrome, and provide counseling to the families of soldiers. Business: Consumer psychologists study consumers’ behaviors to find insights that could helpful for businesses. Industrial-organizational psychologists, on the other hand, focus their attention within the company, looking for ways to increase productivity through things such as better employee selection and training or a better designed or organized workplace. Psychologists can work for these businesses as full-time employees or as consultants. An overview of psychology as a field of study. There is evidence that people studied how the mind and behavior function since the days of the ancient Egyptians and ancient Greeks. However, psychology was considered a part of philosophy until it developed into a science with its roots in experimental research. Wilhelm Wundt opened the world's first psychology lab in 1879, marking the start of psychology as a separate discipline. Since psychology was recognized as a distinct field of study, it has split into many specializations. Now, the American Psychological Association lists 56 divisions focusing on everything from how the brain physically responds to habits and interactions, how to measure aspects of personality and behaviors in the first place, how to use that knowledge of psychology to improve schools, workplaces, and communities, how to make planes safer and sell more products, and how to help people with psychological problems. Aviation: Aviation psychologists study all aspects related to pilot performance in order to increase safety. Biological and Physiological: This area of study focuses on the physical processes of and correlations with psychology. Clinical: This field treats mental illness and other psychological problems. Cognitive: Ever wonder how you think or how memory works? This field studies how the mind works. Comparative: Comparative psychology studies animal behavior. Consumer: This field studies how consumers interact with products and services, often to help companies better sell those products and services. Counseling: Counseling psychology provides therapy to help people overcome health-related, emotional, or social concerns. Developmental: Developmental psychology studies the way people change or develop physically, emotionally, intellectually, and socially throughout their lives. Educational: Also known as school psychology, this field work with the school system to improve student's success and wellbeing through an understanding of their behaviors and psychological needs. Experimental: This field refers to the scientific research psychologists do to better understand the human mind and behaviors. Family: This field examines and seeks to improve family and marital relationships. Forensic: Forensic psychology is when psychologists use their expertise for legal or criminal cases. Geropsychology: Geropsychology is the psychology of aging, something that is sure to gain importance with the graying of America. Industrial Organizational: This field focuses on the question: How can you improve productivity in the workplace by cultivating the wellbeing of employees? Psychometrics and Quantitative: Psychometrics psychology deal with tests and experiments that measure personality and intelligence. 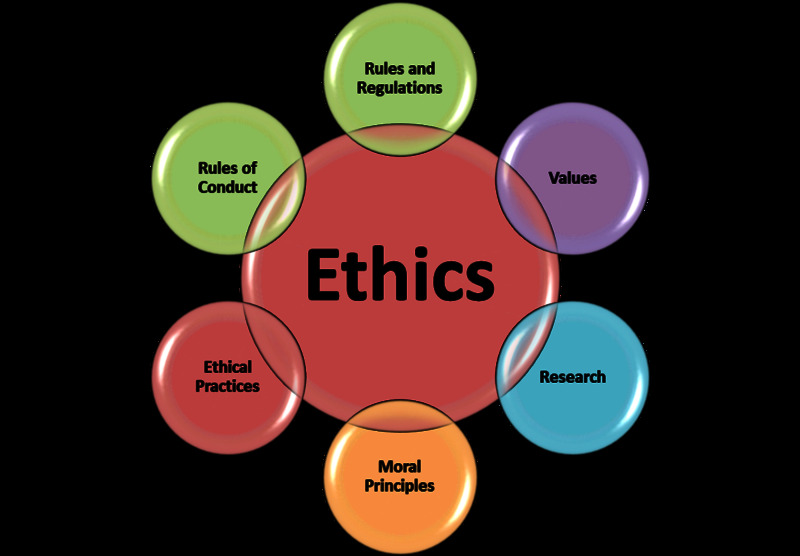 Social: This field focuses on how your beliefs, emotions, and behaviors are affected by others. What are the causes of prejudices and other types of social conditioning? Sports: This is the study of how psychology can be used to improve performance and motivation in athletes. Find psychology articles, student resources, and psychology study guides. Explore psychology theories. Learn more about the history of psychology with this guide, which includes biographies of major thinkers and timelines. Find commentary, research, and news covering all aspects of human behavior, from the workings of the brain to relationships and the larger cultural forces that influence our decisions. 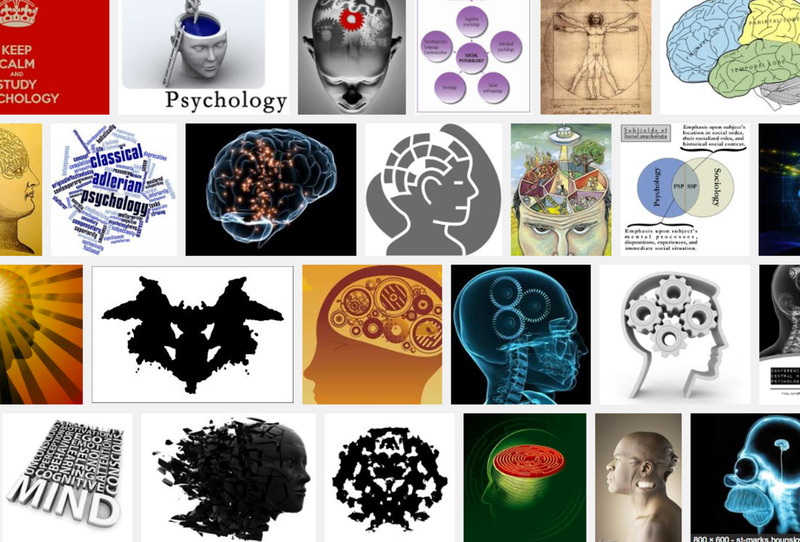 Psychology is an academic and applied discipline that involves the scientific study of mental functions and behaviors. Filipino psychology is usually thought of as a branch of Asian psychology, a placement determined primarily by culture. What are the importants of psychology in health care practice? 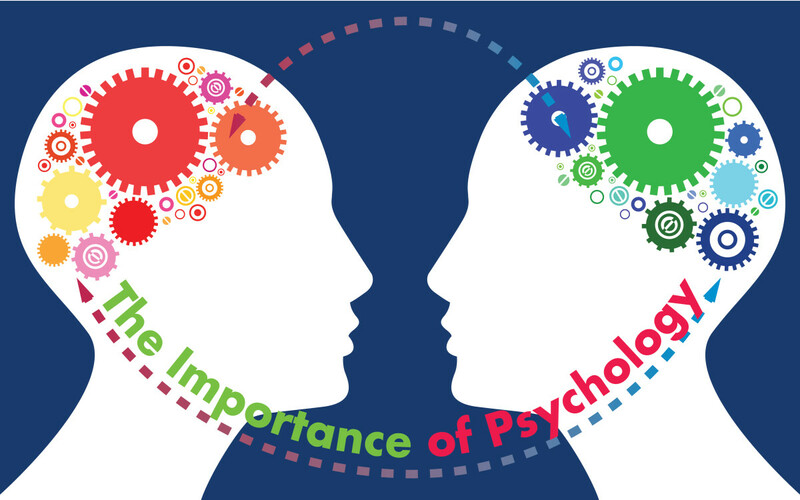 Nice and very useful information about Importance of Studying Psychology. Psychology is really very interesting subject. psychology is what i feed on,i walk on,i sit on .i am a counselling psychologist dealing specifically with HIV clients and i am happy seeing them realize how important their lives are and adhering to their treatment . besides it makes me realize no one can exist on their own. good stating and explanations of the work. it has been amazing and so helpful to me. I want to learn more about psychology. I have been doing an essay on who is the outsider in S. E. Hinton's the outsider and I have been writing that it is everyone, and people will chose who they relate to. this has been my best source! thank you! information, it helped me a lot on my introduction to psychology assignment. psychology is interesting. thanks for the info it helps me a lot because my course is political science.!! Thanks the author you have helped so much in my assignment never seen a good explanations well arranged and so simple english used. Nothing more than "BE BLESSED"
Very informative. Thanks. I saw it on Twitter. Thanks alot for such concise importance of psychology. Our everyday living is psychology in deed. Thank you for taking the time to give this overview. I am afraid lots of people still psychology is all about "mad" people locked up in the "loony bin" People need to realize how it can be used in everyday life. thanks very much for letting me know what psychology is and its importance.i ve really enjoyed.please add more dear its helps us. Thanks for your feedback. Appreciated. This great approach is very educating and expecially to educationlist, authors, wirter and students. Psychology, is as you have written important and interesting. Voted up. I couldn't imagine a world without people using insights gained by psychological research. Good work! psychology is to complicated but reading is eassy...psychology is very important 4 us they build up over mind how to treat others...its very awsum subject..thnx 4 alot of idea that i can learned regards to all..now im understand..thank u..
thanks and more power to you!!! i thanks to the author of this cos it help me a lot, especially my assignment. just keep on blogging cos it can help a lot of people, an idea about psycho and everything. godspeed! I love psychology because it make me know psychological needs of human been. I just wanted to know what impact psychology has on the communitoral environment. Psychology helps us 2 describe the behaviour of people and also helps us 2 mingle with different kinds of people. I am psychologist. Nice write up. psychology is the importance subjet of life; l love it. psychology aid me read the mind of individual and groups of people, psychology psychology is important as it helps me in understanding myself better, it helps me to perceive things positively and it assists me in determining the things that I enjoy doing the most in life. pls let these information be free cos we guys from africa don't have money nor credit cards to buy the books. thanks for the information ,JAH bless. Thanks...... it halped me alot!!!! Thank u very much.I subcribed to your postulations on net on the subject matter psychology and various opinions Canvassed. i have found thir page really usefull ,thanks. because of your brilliant mind,now i know what is psychology is. thanks a lot. ahmm, by the way are you a doctor?